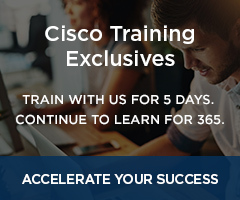 Develop the skills to implement various Cisco video endpoints in converged Cisco video infrastructures. 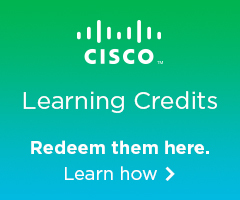 The Cisco Video Network Specialist program enables traditional analog audio-visual professionals to extend their careers into the growing Video-over-IP network job role. Students will learn to deploy video end-points, set-up new users, and operate video networks. This certification validates an individual's knowledge of installing, operating and supporting networked video solutions and how to deploy and optimize the product features and benefits. This exam tests a student's knowledge of and skills to implement various Cisco Video endpoints in converged Cisco video infrastructures. 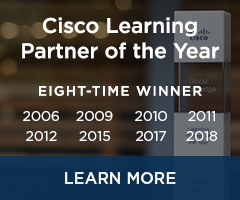 It also tests a student's ability to implement and troubleshoot Cisco Unified Communication and Collaboration, TelePresence, and Digital Media Player in different Cisco business video solution architectures.